Kill3rCombo, publisher of the hit free-to-play action MMORPG Elsword, today announced the launch of Infinity Sword, the first new class in its huge summer update, “Elsword Transformation Evolution.” The update is a follow-up to this past winter’s successful Elsword Transformation series and is the next “Evolution” for Elsword’s six characters, introducing a new class for each. The Infinity Sword class, an enhanced version of the Sheath Knight class, retains the ability to dual wield swords and gains all-new capabilities and an exciting new look. This incredibly fast melee class will also have a big impact on Elsword’s PvP mode and is destined to have players developing fresh multiplayer strategies to deal with this new challenger. As a Sheath Knight, Elsword saw his summoned sword was absorbing dark energy. In order to fully use the sword’s dark power, he would need to allow himself to absorb dark energy as well. In doing so, he risked giving way to his dark inner side if he could not control the dark energy. 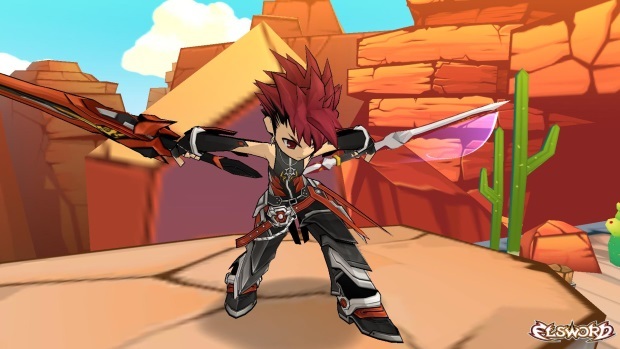 In true Elsword form, he found the strength to take command of his dark self and his enhanced dark blade, becoming the ultimate swordsman, Infinity Sword. Neverwinter: Strongholds – the seventh expansion for the action MMORPG – will arrive on Xbox One Nov. 3. The Springtide Celebration has started in the award winning indie MMORPG Eldevin.